What started out as one woman sharing her experience became motivation for other supporters to share. We begin with a controversial movement gaining ground on social media, giving a new voice to the abortion debate. The fate of it all, a young woman who made waves by announcing she had no regrets about her choice and found others were eager to follow suit. Here's ABC's aditi Roy. I had an abortion last year. It was an incredibly positive experience for me because I didn't want to become a mother. Reporter: So confident in her choice, last month 30-year-old Amelia Bono decided to share her experience on Facebook. I really did it on a whim. Like I was running out the door, I was like, I need to mop my kitchen, and I just was like, no. I'm not going to mop the kitchen, I'm going to tell everyone I had an abortion. Plenty of people still believe that on some level if you are a good woman, abortion is a choice which should be accompanied by some level of sadness, shame or regret. But you know what? I have a good heart and having an abortion made me happy in a totally unqualified way. Reporter: Her revelation resonated. A friend of Bono's tweeted a picture of the post to her 60,000 followers and gave it #shoutyourabortion. Within a couple of hours there were women in and out of my social circle that were just saying, hey, I had an abortion too. Reporter: The hash tag has been shared more than 230,000 times. I saw Amelia's post. I was immediately inspired. And just so ready to join the movement. My hands were shaking. And I was already tearing up thinking about the idea of joining Amelia and joining the thousands of women who continue to post. Reporter: Shouts have come from women young and old, married and single, mothers and even grandmothers. Is the takeaway that people who have had abortions have nothing to apologize for? I think that it's up to every woman to define her own experience with abortion and that's really what this is about. I'm defining my own experience as something that I'm not sorry about. Reporter: Bono says she's not surprised by outpouring because 1 in 3 women in the country have had an abortion by the age of 45, according to one study. But Bono's one-paragraph proclamation brought her to the front lines of the decades-old abortion rights debate. Increasingly a war of words waged on the internet. Her personal story garnering public attacks. I don't want to qualify them as threats. I would qualify them as messages meant to make me feel unsafe. And I just won't let them win. Reporter: Especially during this election season. She says she was motivated in part by the republican threat to defund planned parenthood. Following the release of these undercover videos by the center for medical progress, purportedly showing planned parenthood officials discussing selling fetal tissue. I could talk about the video but I think I'd vomit. 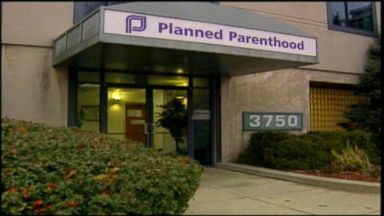 Reporter: Planned parenthood adamantly denies the claims. The outrageous accusations leveled against planned parenthood based on heavily edited videos are offensive and categorically untrue. Reporter: The fiery showdown between republicans and democrats this election season rages on. Make no mistake. Despite what we hear from the other side, republicans are doubling down on their war against women. Reporter: Amelia is not willing to wait for the politicians to sort it out. I don't know if politics can really address stigma. I think that's what things like shout your abortion can do. I think that's what we've seen it do little by little in the last two weeks. I'm looking forward to seeing where the world takes it. I think the shout your abortion campaign is phenomenal, I love it. Reporter: One of the campaign's most visible supporters is "The good wife" actress Martha Plimpton. They've taken it personally. Look at you! Hi, boo-boo! Reporter: Reporter: A life long outspoken abortion rights activist. Abortion is not some crazy, weird last resort. It is a Normal part of women's medical lives. Reporter: She's the cofounder of the nonprofit reproductive rights group "A is for" and has believed in the cause since she was a teen aimer. For me in particular, because I did have two abortions as a young woman, I feel that my ability to access that kind of medical care made it possible for me to live out my dreams and do what I really wanted to do with my life. Reporter: Plimpton recently joined forces with the shout your abortion campaign releasing this tongue in cheek video. Pig. That's it. Reporter: Celebrities and activists Reading tweets that they receive from detractors after sharing their abortion stories. You're a bunch of cells, we should terminate you next, right? Oh my god, it's a death threat! These are not the brightest bulbs we're dealing with here. But that's not to say they don't represent a pretty formidable force that's so far succeeding in limiting our access to exercise our constitutional right. Reporter: Abortion has been legal since roe V. Wade. In the last few years more than 200 limitations on abortion access have been passed into law across dozens of states. A sign that the anti-abortion movement is going strong. Hey, hey, ho, ho, roe V. Wade has got to go! Reporter: Fueled by a new generation of young women like Kristin Hawkins. Today I speak to you pregnant with my fourth child, my first daughter. We are the pro-life generation! Reporter: A grassroots organizer who's recruited thousands to her cause. We're not out there to reduce abortion, we're out there to end abortion. We want this to be over. Reporter: Hawkins says she's not worried about this new hash tag movement. I think shout your abortion is a flash in a pan. I think it's one of the many things we're going to see rising up the next few years as abortion activists become increasingly concerned with a pro-life America. Do I think it's going to have a lasting impact? No. Reporter: But Plimpton is confident it has digital legs. The shout your abortion hash tag kind of gave people an opportunity to participate in a way that they don't normally have when there's an organization that's kind of centralized. With Twitter it opens the flood Gates. How's it going? Are you still at the office? Reporter: As for Amelia Bono, things are just getting started. The grassrooter has put her studies on hold, her focus, turning the internet sensation into lasting cultural change. This isn't like roe V. Wade that can be overturned. This is just a change in the way that people are talking about a medical procedure. And it's something that clearly I think a lot of people are ready for. Reporter: For "Nightline," I'm aditi Roy in Seattle. Gov. 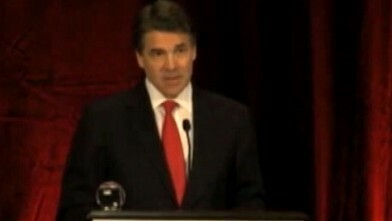 Rick Perry vows to keep fighting for abortion limits. 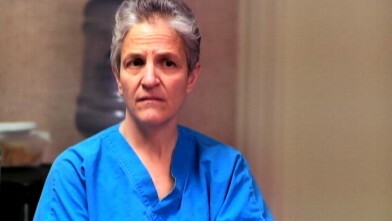 Dr. Shelley Sella counsels a young couple before a third-trimester abortion. Organization receives $528 million annually in federal money, which it says is not used to fund abortions. 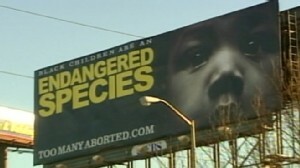 The signs combine the contentious issues of race and abortion in Atlanta.